Can’t say enough about this baby bath towel. I’m giving it as part of a baby shower gift and I know the mom to be is going to love it. I will purchase again. Beautiful bib for my daughter's baptism. Seller is friendly and quick to ship! Great service/delivery and a beautiful pillowcase embroidered. My grandson will love it on Christmas. Check out the Snuggle Pals in my shop. They are so soft and cuddly. Babies and toddlers just love them! All quilts for sale are made and quilted by me. Personalized bibs and burp cloths make great baby gifts! 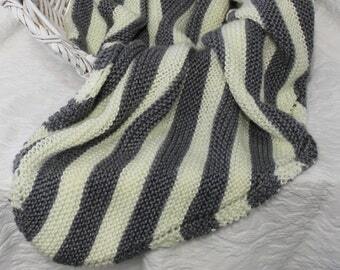 Hand-knit blankets are soft and warm! 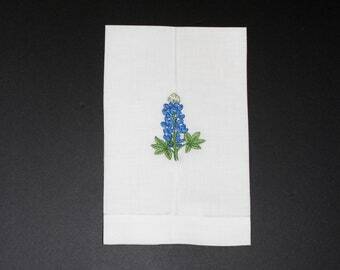 Linen hand towels make a wonderful hostess gift! I've been sewing most of my life, starting with clothing for my Barbie dolls. My husband gave me an embroidery machine for my birthday in 2000. I started making embroidered baby gifts and soon had people asking if they could order personalized gifts. I started my first company in 2001 and reorganized in 2011 under a different name and charter. I am now StitchinGal LLC. My Etsy shop name is StitchinGalTX to identify that I am located in Texas. A lot of my business comes from local customers. 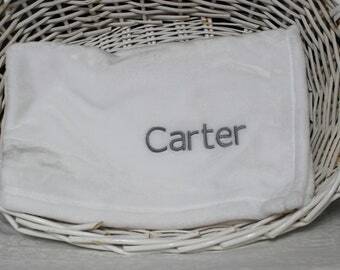 I monogram towels and make personalized baby gifts. I love to quilt and have sold a number of quilts locally. 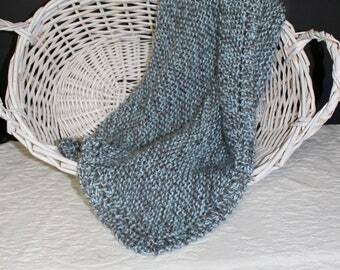 I enjoy knitting and sell hand-knit baby blankets and adult scarves through my Etsy shop. The knit items are so soft and cuddly, I end up with a lot of repeat customers! Thank you for your interest in my Etsy shop. Please feel free to contact me if you have any questions about my work. I would love to hear from you! I was a stay-at-home mom until my youngest went to college. I've been working part-time in my husband's law office for the past 2 years. I started sewing and knitting as a little girl and I can't remember a time when I didn't love yarn and fabric! Welcome to Stitchingal! I have been creating personalized, machine embroidered gifts for over 15 years. I have many customers who shop from me each time they need a special baby gift. I am a quilter and I specialize in baby quilts. I usually have a few for sale in my Etsy shop. I love to knit and quilt and do both in my smoke-free, pet-free home. I've been sewing and knitting since I was young. Fabric and yarn make me happy and I've always got projects in the works. If you have any questions or would like to request something that is not listed, please feel free to contact me. You can pay through paypal or with a credit card. Texas, Washington, and Pennsylvania residents will be charged their state's sales tax. Shipping charges for most items is for Priority Mail. I ship a few items via First Class Mail. Each listing states the shipping method. I can accommodate some custom requests. Please feel free to contact me via Etsy's convo tool!